Translating something from Pinterest to 'real life' is often times not near as easy as the pinners make it look. I can attest to that from first hand experience. 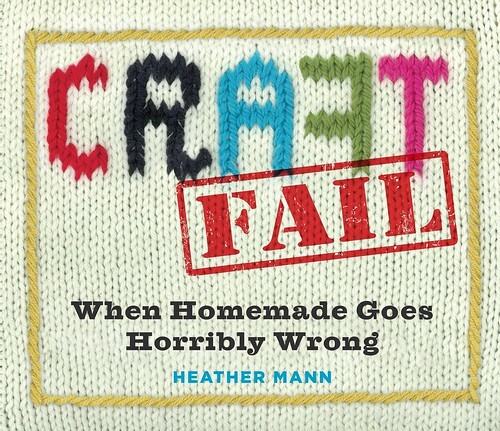 Hooray for Heather Mann and her new book Craft Fail. This hilarious book let's crafters, bakers and makers know that they are not alone when their great idea goes horribly wrong. Frying a heart shaped egg inside a piece of toast or stiffening yarn into a lamp shade can make even the most seasoned of DIY professionals throw their hands up and shout more than a few expletives. I recently got to ask Heather a few questions about her new book, her website Dollar Store Crafts and how she manages to be a crafty icon and raise four kids at the same time! You are old school. One of those crafters that has been around since before DIY was on the tip of everyone’s tongue. How far back do you go? When, how and why did you get involved with the handmade movement? I started writing online in 2000. In fact, I recently peeked at what I was publishing on my Angelfire site back then, and I found a few craft tutorials! 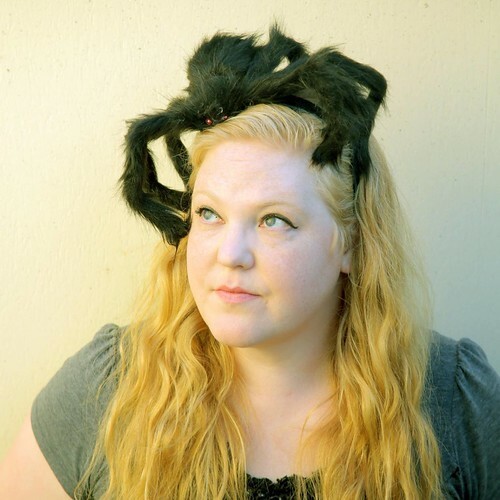 After that, I posted on Craftster and GetCrafty, and opened one of the first Etsy shops. (I was the #3 most popular Etsy shop for awhile!). I also started a zine (a self-published magazine) about crafts, and finally my current websites Dollar Store Crafts and CraftFail. When did you start Dollar Store Crafts and why? 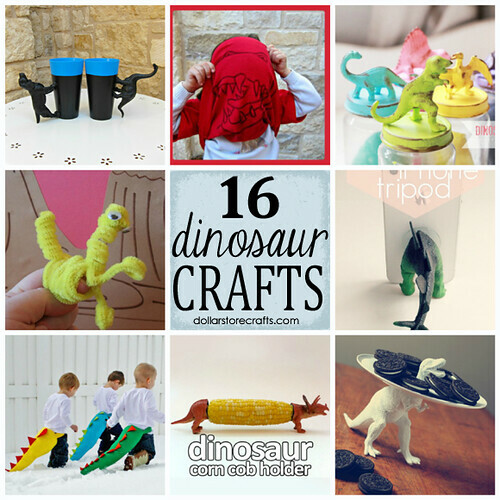 Did you frequent dollar stores and see oodles of crafty potential? I started Dollar Store Crafts in the fall of 2008 on a whim. 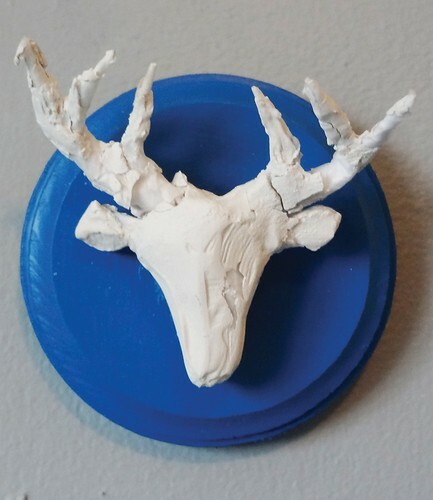 I had this idea that kept bugging me and wouldn't leave me alone; that it would be fun to have a whole site where the challenge was to craft with dollar store stuff. So, I started the site, and people started linking to it and sharing it right away. Then the economy tanked, so it was the perfect time for a frugal craft site to come along. 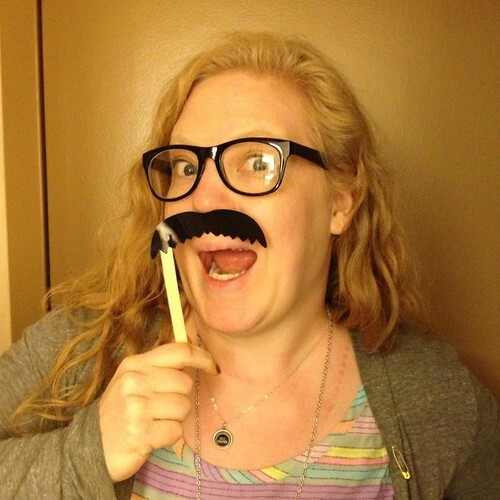 How do you manage to run one of the most popular websites in the crafting community, be a partner in Blue Print Social, write a book and have four children? I feel like I barely get anything done with two kids. I feel the same when I see pictures of how amazing your house looks! I think the answer for both of us is that we let some things go. My house, for instance, won't be showing up on Apartment Therapy anytime soon! My oldest three sons are in school, so that helps a lot. Now that I have a baby at home again, it has been more of a challenge to get everything done. Basically at dinner time every day, I stop working and tell myself "I've done everything I physically could have done today." And if I didn't get everything done (which is always), I can't really ask more of myself. I love your new book Craft Fail and have had so many similar experiences to those in the book. Do you think that sometimes social media, especially Pinterest, sets people’s DIY expectations too high? Do you think most people are able to laugh off their fail or do you think some newbies feel defeated and give up? Yes, I think Pinterest leads to overly high expectations. People see gorgeously styled photos, and crafts that were made by a team of professionals, and then feel bad when their first try doesn't measure up. I think some people feel defeated by that, but if you put it into perspective, you realize that you are trying to paint a masterpiece with a box of crayons. That is, you just don't have all the tools and experience that the pros have. One of the things I've realized while doing the CraftFail site and book is that failure is a good thing because it's a valuable tool for learning and growing. 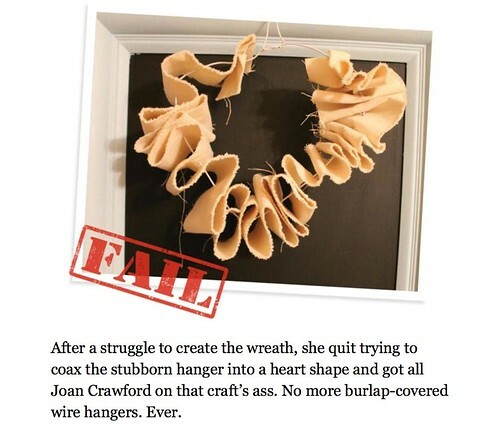 How did you find all the contributors for Craft Fail? Were there any submissions that were so bad you couldn’t use them? Were there any sent in by total Type A people that you and I would have looked at and thought - “that is a craft win in my book”? I mostly used submissions that people had sent me for the book, but for a few of them, I googled around to try to find CraftFails that hadn't made it into my inbox and asked for permission to feature them. There weren't any submissions that were so bad I couldn't use them, but some of them had photos that were too dark or blurry. And yeah, there is the occasional submission where you scratch your head and go, "What's wrong with this? Looks good to me!" Before Craft Fail and Dollar Store Crafts there was Croq Zine. What do you think about the resurgence in zine culture? Have you ever considered starting up zine making again? I do love making zines, a lot. When I was 10, I used to write "newsletters" with made up people and events in them. I didn't know the word "zine." If I didn't have so much on my plate, I would love to make more zines. Maybe when I'm 70!" Tell me about BluePrint Social and the reasoning behind it. I find myself suggesting it to lot’s of people. Are there any other networks like BluePrint Social that other free-lance crafters should look into? 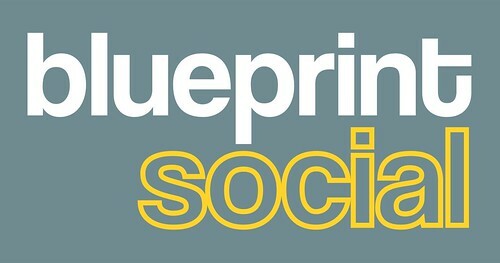 We started Blueprint Social as an answer to a question that kept coming up. Craft companies were saying to me, "I want to work with bloggers, but I don't know who to work with or how to find them." So, since I knew who to work with and how to find them, I figured it would be helpful to the craft industry to have an agency dedicated to connecting companies with bloggers. There are several blogger networks that have sponsored opportunities for bloggers, but none that focus specifically on craft/DIY campaigns (that I know of). Are you a card carrying member of CHA? What are your thoughts on the new member category for bloggers? Yes, I am a Designer Member of CHA currently, but I have been pulling for them to create a blogger membership for a few years now. I am beyond excited that they have created this new membership, and I hope it's the start of a new viewpoint about bloggers within the Craft & Hobby Association. When my membership comes due at the end of the year, I will be switching over to a blogger membership! What is your favorite creative activity? Do you love to bake? Host elaborate parties? Quilting your thing? Can’t put down the knitting needles? My favorite creative activity is writing! But when I'm crafting for myself, I really like to make jewelry and funky headbands, or sit down at a table of random craft supplies and see what I can come up with. 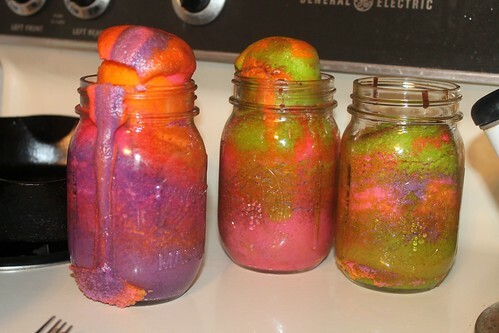 I also like any craft with unpredictable results, like tie dye or soap-making. Wow Heather that was riveting! Thanks so much for stopping by I Love to Create to chat. Be sure to check out more interviews by Jennifer Perkins here.